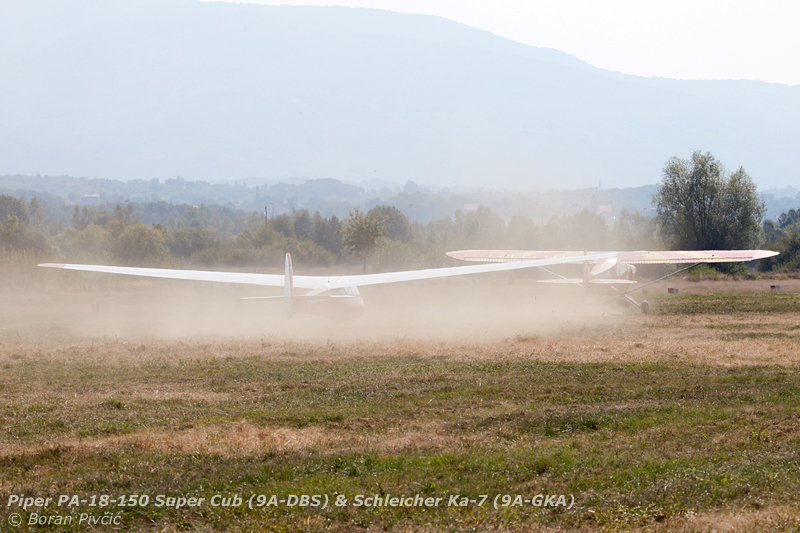 Airport Report – Gubaševo Glider Airfield | Achtung, Skyhawk! What could definitely pass for a grand opening of a major international airport was, in fact, just the official opening of Croatia’s newest sport airfield near the village of Gubaševo :D. Marked with quite a bit of (perhaps unwarranted) pomp and circumstance, Gubaševo is the first proper, permanent airfield in the area, and a source of much local pride :). 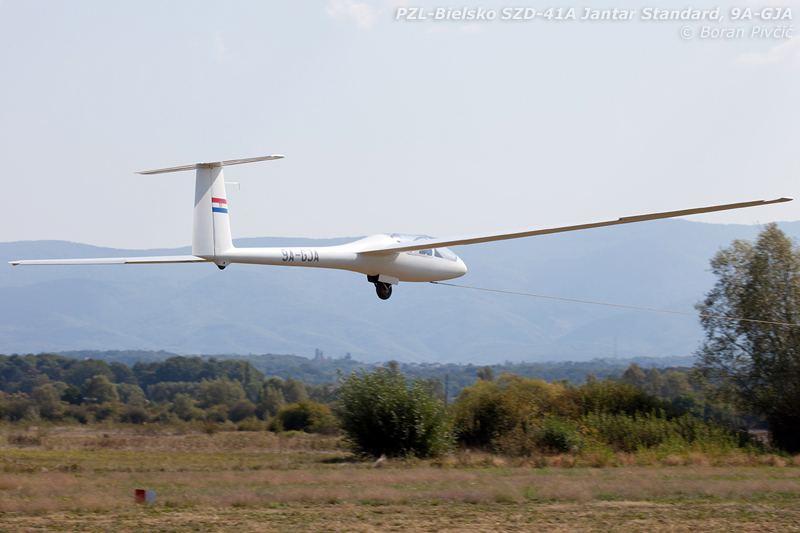 Located in the rolling hills of the region of Zagorje, just a dozen miles north of Zagreb, the field is intended primarily for use by gliders, capitalizing on the area’s frequent and strong thermals, occasional mountain waves – and an almost a complete lack of strict altitude and airspace restrictions. Away from any major airports and well below their approach paths, the field features a single grass runway measuring 650 x 30 meters, and stretching in a 36-18 direction at an elevation of 450 ft AMSL. Interestingly enough, and despite the fact that it had been officially opened this day (24 September 2011), the field is not yet fully certified, and landings there are still treated as off-field operations (though with the blessing of the CAA). 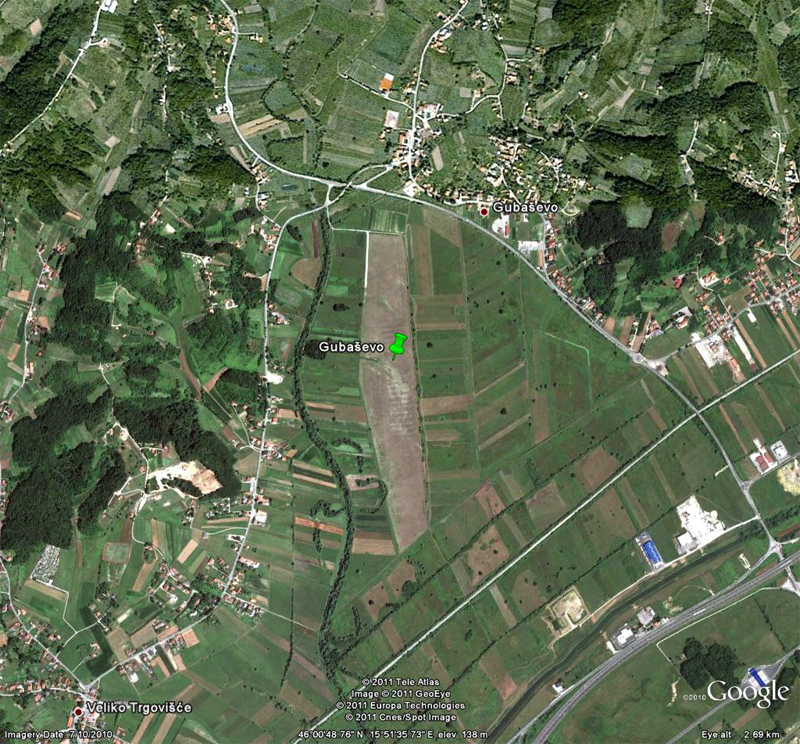 For the same reason, Gubaševo still hasn’t got an ICAO location indicator, but it is hoped that one will be allocated in the future :). 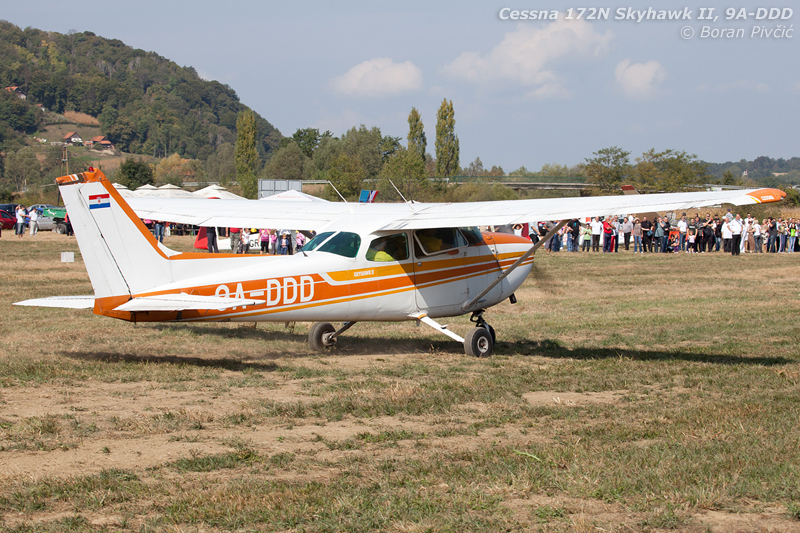 The first powered aircraft ever to land at Gubaševo - and incidentally the aircraft on which I'd logged the most flight hours 🙂 - Triple Delta is seen taxiing towards the waiting crowd, with the prefect of the Krapinsko-zagorska županija (county) on board. 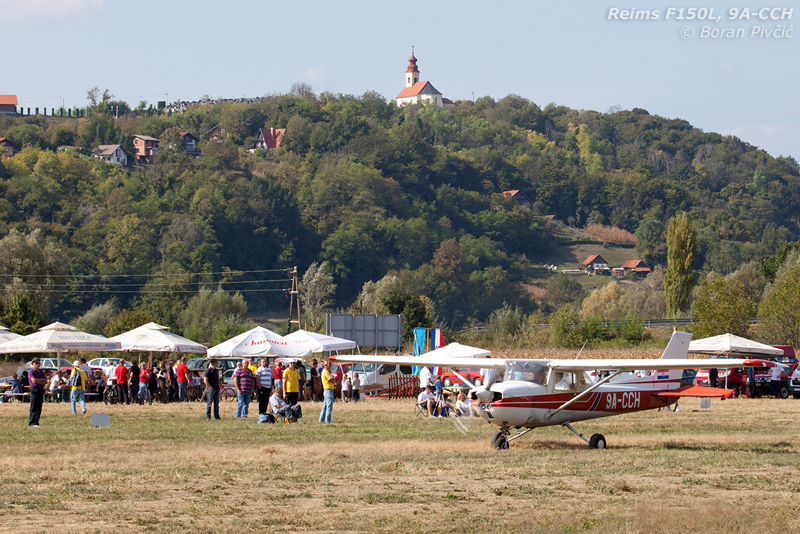 Officially named Krapinsko-zagorski aerodrom Gubaševo (roughly translated as "Krapina's and Zagorje's airport Gubaševo"), the airfield was quite a big thing that day :). AK Zagreb's C150 lined up on RWY 18, posing for a perfect postcard shot with typical Zagorje scenery in the back - low cut grass, corn/maize fields, wooded rolling hills, the inevitable church (every town has one)... and, normally, gazebos with plenty of local wine :D.
One of the day's many aerotows climbing up slowly - but surely - from RWY 18. 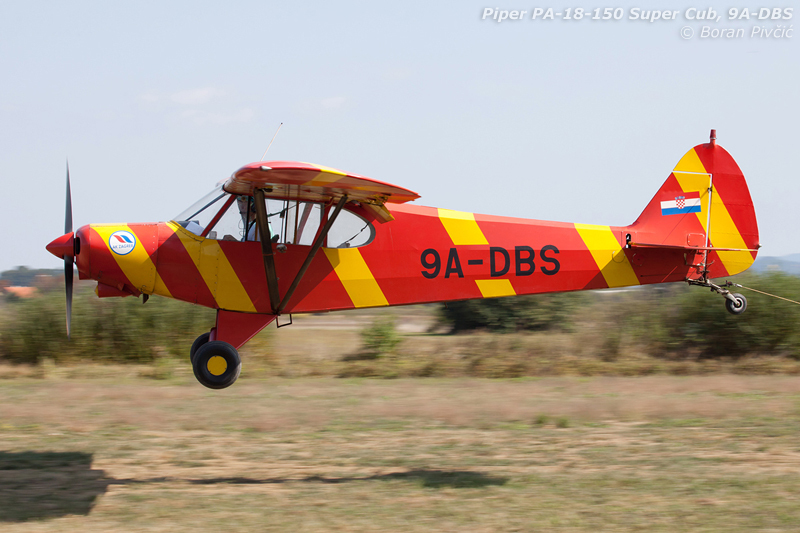 The glider in tow is a Polish-designed and built PZL-Bielsko SZD-41A Jantar Standard - the only one of its type in the country - registered 9A-GJA. Caught in an almost perfect profile shot while landing on RWY 36 :). Though 650 meters may seem a bit short, identical aerotow operations from Lučko - with the same gliders and the same towplane, at roughly the same elevation (404 ft vs 450) - need pretty much the same runway length. Eat my dust? Kicking up clouds of loose cut grass on the takeoff run, far from an ideal operating environment for an aerotow. Apart from reducing visibility in the cockpit of the glider - Zagorski aeroklub's Ka-7 in this instance - this also increases the pair's takeoff run by increasing surface friction. Freshly refurbished, 9A-GZA is seen returning from a joyride. Coming from an airfield where airspace and altitude restrictions rarely allow flights of more than 20-30 minutes in duration, pilots from Lučko were having a ball here, with individual flights having had to be curtailed to one hour in length to allow others to have a go :D. The gliding situation was so good in fact that I've seen - for the first time with my own two eyes - four gliders circling in the same thermal :). Launching out of RWY 18 for an hour-long joyride. The mountain in the background is Medvednica, at whose opposite base lies the city of Zagreb... and a bit to the right, out of shot, Lučko :).